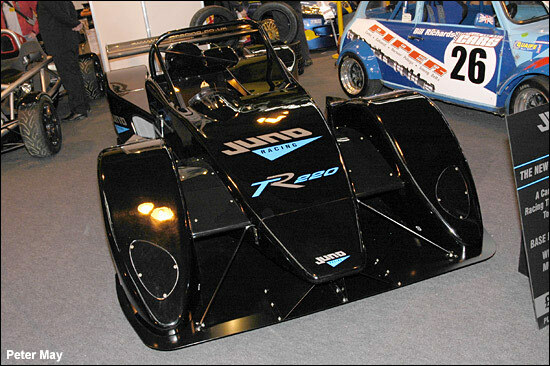 The NEC on Thursday revealed some interesting ‘small prototype’ news – notably from Juno, Radical and Norma. Ewan Baldry’s company will have two new cars competing in the VdeV series in 2006, for Adrian Mardlin / Rob Croydon and Sam Allpass / TBA (probably Brendan Deschamps). Croydon is a huge fan of the VdeV, and by competing again in the whole series, he’s expecting to indulge in five four races, two six hour races and the 12 hours event to end the season at Magny-Cours. The Junos are based on the company’s SS3 model, but have undergone a few modifications in order to satisfy the CN regulations. They’ll be powered by Honda K20 engines, prepared by Mountune Racing. From now on all Juno chassis will have the CN modifications, so that the chassis will have the versatility to race in a range of different championships. "One big advantage of buying the Juno is that it is future proofed,” commented Adrian Mardlin. “We know that we can take it all the way up to 400bhp and beyond, achieving practically LMP2 levels of performance, without changing anything more than the engine." Ewan Baldry was present at the NEC with his company’s new track day car, the TR220.